The Science Museum has expanded its events team with the addition of a group sales manager. Lucy Mears has almost 18 years experience in all sectors of the events industry including agency, venue, supplier and in-house. 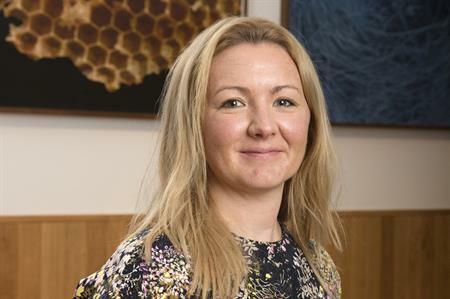 She has worked in event sales for a number of London venues including six years at the London Stock Exchange where she launched a brand new events venue. Most recently, Mears has been working in the special events catering arena, first with Payne and Gunter and then Harbour & Jones. As group sales manager at the Science Museum, Mears will be responsible for developing relationships with existing and new clients, implementing strategic plans, leading and developing the sales team and offering exacting event solutions, with the aim of increasing the museum’s profile and profitability. The strengthening of the events team follows the launch of a new corporate space earlier this year- Wonderlab: The Statoil Gallery. Commenting on her appointment, Mears said: "I’m looking forward to my new role with the Science Museum Group. My variety of experience within the industry gives me a unique understanding of the needs and challenges of everyone involved in putting on an event. I’m excited about the endless possibilities for events across the group’s sites, especially when so many corporate events are looking to align with the same values as us, including innovation, creativity and future technologies." Group operations manager – commercial and live events at Science Museum Group, Ben Lheureux, added: "We are extremely pleased to welcome Lucy to the team. As a group we work hard to ensure that we offer our clients a unique experience across all of our venues and our passionate and dedicated staff are key to making this happen. I know Lucy will make a valuable contribution to our existing team and will further add to the ongoing success of the business." The Science Museum has expanded its events team with the addition of Lucy Mears as group sales manager.